Hillview Green near Parc Palais. 63 & 67 Hume Avenue. Completed: 1998. 999-year leases units. Marble tiled living and dining areas. Parquet floors in bedrooms. Swimming pool, childen's pool, tennis court, gym, covered car park, barbecue area, jauczzi, sauna, multi-purpose room, playground, 24-hour security, covered car parking, clubhouse, lounge. Has squash court, as in Hume Park I. 51,53, 55, 57 Hume Avenue. Cream coloured marble tiles in living and dining area. Light brown laminated floor strips. Small balconies from floor 1 - 8. Some residents dry clothes in balconies.
. Roof terrace in maisonettes (left top). The 9th and 10th floors have no balcony. Lots of plants in Parc Palais' sprawling grounds and hillside jungle at one end. A swimming pool you feel like swimming. Key access to gym only. Reading room, Karoake room and 2 aquariums beside pool. CLICK thumbnail to view beautiful aquariums! Parc Palais with the neighbour, Symphony Heights (brown middle of image). 33-45 Hume Ave, 449 freehold units, completed 1998, marble tiled living and dining areas and parquet in bedrooms as the neighbour. Full condo facilities as in Parc Palais and Hume Park I. 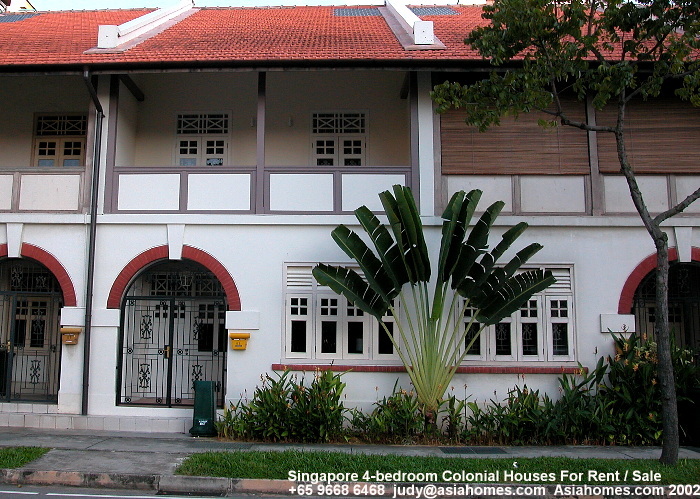 The living and dining areas of Hume Park I and Bukit Regency are ceramic tiled, unlike the marbled flooring of the others mentioned in this report. Blk 5's 5th floor has fantastic hill and green tree views from the living area. newer condos in expat area like Maplewoods. Near Raffles Place as she entertains and does not want to drive home. Depressed after seeing some units with odd coloured lifts and terrible furnishing with company's realtor. Her budget was really low for a 3-bedroom. Maplewood's cheapest 3-bedroom was $2,700 unfurnished as at Aug 20, 2000. 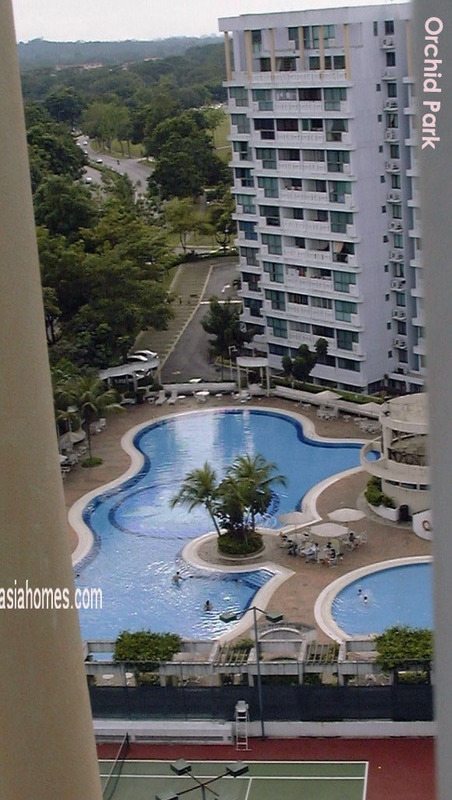 Expat boss cared enough to phone her during the hot Saturday afternoon viewing to recommend Symphony Heights. None available at $2,300. Will need to go to Upper Bukit Timah condos. House-hunting on Saturday August 20, 2000. Dark brown wooden floor boards, dark green slats in balcony with unblocked views of Great Eastern Mansions and Botanic Gardens. Black long bath and floor tiles in master bathroom & bright yellow kitchen cabinets did not agree with Caucasian single. The Landlord may paint the cabinets white, if the rent is right. Unique Olympic-length rectangular swimming pool. Ceramic-tiled floor and small balcony. Did not appear attractive after seeing Parc Palais and Hume Park I. Does not evoke the tingling feeling of "this is it". 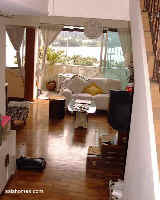 3+1 1500 sq.ft $2500 fully furnished. Grey and white kitchen cabinets & stainless steel sink, white cooker hood and hob of Hume Park I seem ordinary when compared to the earth-colured cabinets, greyish black streaked granite-like counter top, white porcelain dual basin sinks and earth coloured marble counter top of sinks with new white long baths in the bathrooms of Parc Palais. 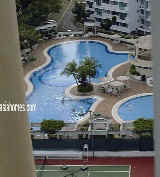 3+1 1507 sq.ft, $3000 fully furnished with quality furntiure. Blk 55, 9th floor. Corner. Extremely good views of nature from master bedroom and living area, being on hill top and corner unit. 4+1 1700sq.ft $2800. Block 55. Good nature views, being the 9th floor, but master bedroom faces a building on one side. Blk 43. Low floor, big balcony but faces tennis court. Lobby J. Low floor, big balcony but faces tennis court too. Didn't want to hear balls (tennis ones) bouncing. The balcony is a selling point in both Southaven I and II. Most Caucasian expats want to live in units facing the Bukit Timah Nature Reserve which is a walking or hiking distance from the main gate. Sommerville Park was the odd man out. The other condos are less than 5 years old, with Parc Palais being the newest. Three condos suitable. The top choice was Parc Palais. Although impressed with Sommerville Park, the black long baths and lemon coloured kitchen cabinets were now too gaudy for most Westerners used to pastel colours. Hume Park I was 2nd choice. It is tough being a single as the housing allowance is usually meant for 2-bedroom. She wanted a 3-bedroom as there would be space for the furniture. 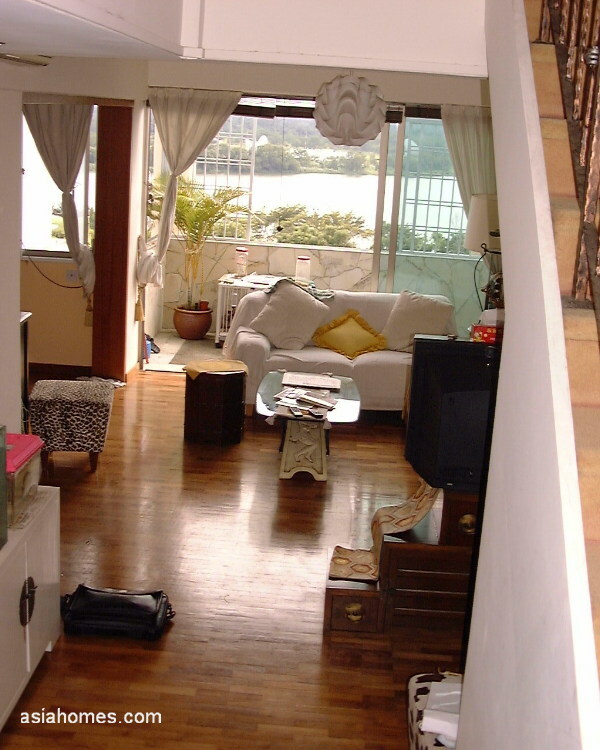 The Parc Palais 3-bedroom had beautiful city and green tree views from the living to the master bedroom. The Owner wanted $2,800. She found a 4-bedroom Parc Palais for $2,300 partially furnished. It had a 4th room as study, but this could be used for her own closet. She really has lots of furniture and it was just good timing to get a 4-bedroom for $2,300. Many agents charge a fee for rental budgets below $2,500. One agent refused to show his apartment unless I get my commission from the Tenant. 2 agents turned up late, one being delayed by the Owner. Another refused to call the Owner in China as she put in a low offer of $2,000. Her boss had told her that everything is negotiable.